Columbus Youth Jazz Workshop (CYJW) is a jazz ensemble experience for students in middle through high school. Founded in 2016 to accommodate a high number of talented new students, the CYJW is designed for a flexible number of instrumentalists and a wider range of jazz repertoire to suit the needs of this unique configuration. Led by Zach Compston (Jazz Arts Group Director of Education and Community Engagement), the CYJW provides in-depth instruction in improvisation and jazz style, important jazz artists and recordings. Students who participate in the CYJW will leave with new skills and musical confidence to take back to their school band program. The CYJW is open to saxophone, trumpet, trombone, piano, bass, guitar and drums. The CYJW rehearses on Sunday afternoons from 4:00 – 6:00 p.m. at the Jazz Academy, 769 East Long Street in the Lincoln Theatre complex, and performs two to three concerts each year. 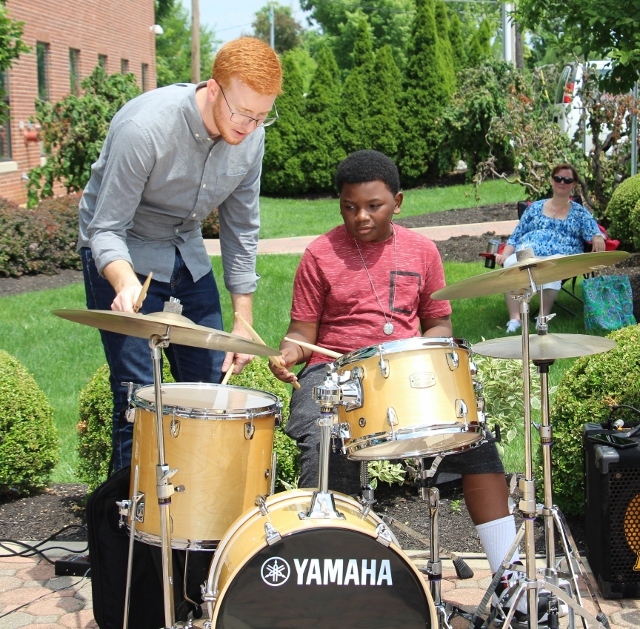 Percussionist/Educator Zach Compston is currently Director of Education and Community Engagement at the Jazz Arts Group of Columbus, America’s oldest non-profit organization dedicated to advancing the art of jazz through performance and education. He develops and implements in-school programs as well as community engagement opportunities for all ages. Additionally, his versatility has been illustrated as a videographer, production assistant and librarian for the Columbus Jazz Orchestra while at JAG. Zach’s performance credits include Andrea Bocelli, Columbus Jazz Orchestra, Pete Mills, Bobby Floyd, Greta Matassa, ProMusica Chamber Orchestra, Lafayette Symphony and Owensboro Symphony. He has given clinics at Wichita State University, Beavercreek Jazz Festival and the Ohio Music Education Association Conference. A yearly instructor at the Fairbanks Summer Arts Festival in Alaska, Zach has developed a keen ability to communicate and connect with people of all ages and ability levels.